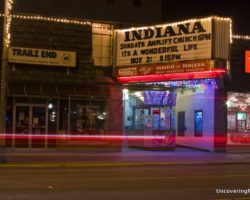 While it’s often overshadowed by some of the other destinations in Butler County, there’s a lot to love about downtown Butler. 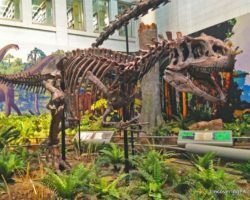 From the beautiful county courthouse to some great shopping and the fantastic Maridon Museum, there’s no reason to not head into the city. Even better, the city is home to two fantastic breweries located just two blocks apart: Reclamation Brewing Co. and Butler Brew Works. 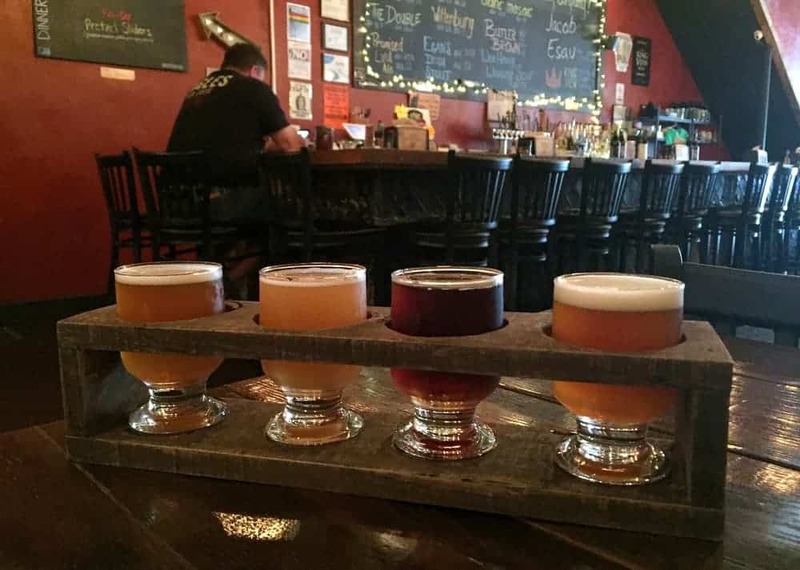 Reclamation Brewing Co. was the first of the two to open and has been serving delicious beers in downtown Butler since September of 2015. Reclamation Brewing Co. sits on South Main Street in downtown Butler. This Butler, PA, brewery is located in a small storefront along South Main Street. The interior is dark, but inviting, with the bar taking up a good portion of the room. 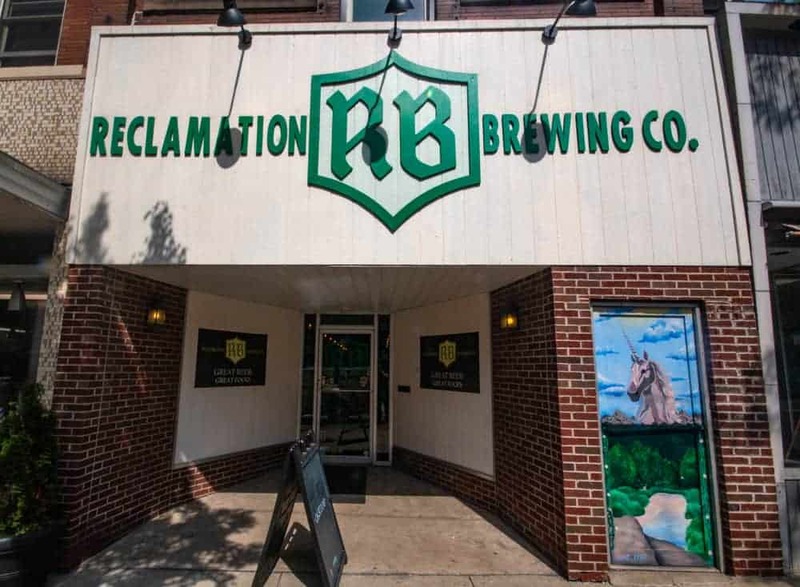 Reclamation’s slogan is “We’re not beer snobs, we just think beer shouldn’t be crap.” To be honest, this slogan made me wonder if Reclamation’s beers might be geared more towards mass consumption and less flavorful than I, an admitted beer snob, have come to enjoy. 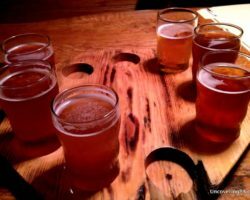 A flight of delicious beers from Reclamation Brewing Co. However, I can’t say enough good things about the quality of the beer at Reclamation Brewing Co.
During my visit, I opted to get a sampler to try a variety of beers from the brewery: Promised Land Ale, Wittenburg, Esau, and The Double. All four beers were incredibly delicious, and I’d get any of them again. In fact, picking a favorite of the four provide difficult, and I’m not sure which one I’d opt to have a pint of as they were all very good. The pizza at Reclamation Brewing was quite tasty. In addition to my beers, I had a chance to try some of the food at Reclamation Brewing Co. 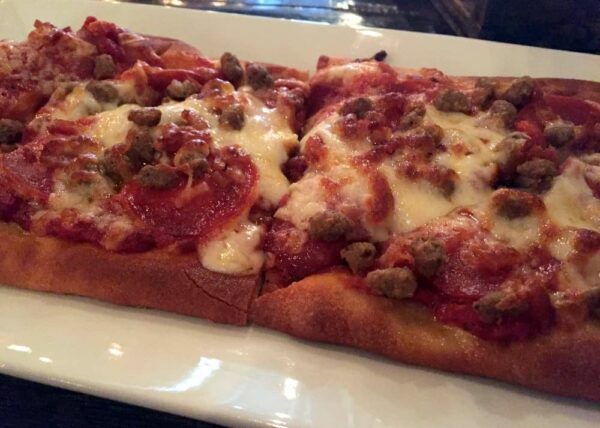 I opted to go with their Carnivore personal pizza. The pizza was very delicious, though a bit smaller than I was hoping for. Nevertheless, it would make a good snack or a nice meal if you weren’t super hungry. After leaving Reclamation Brewing Co., I headed two blocks north to Butler Brew Works which opened in July 2016. 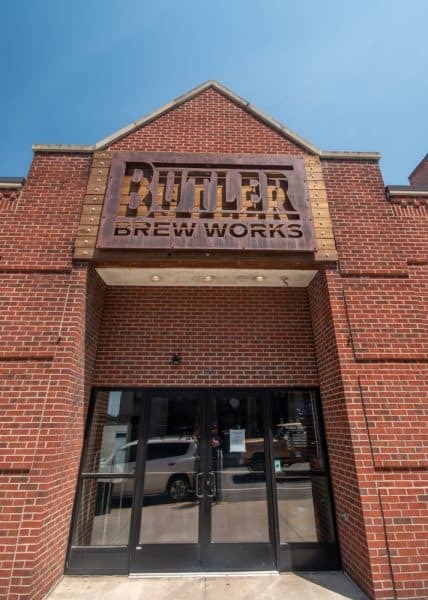 The entrance to Butler Brew Works. 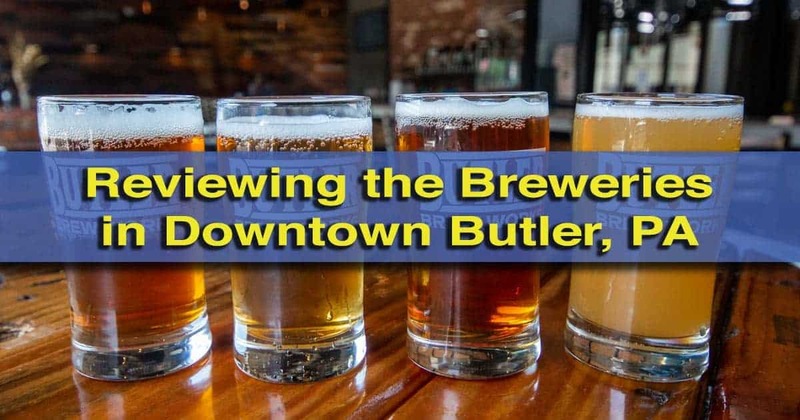 The atmosphere at Butler Brew Works is completely different than at Reclamation. Here, the tasting room is bright and airy. There is also more of an industrial feel with the brewing equipment being visible through a large window. If the weather is nice outside, the brewery’s large picture window gets opened, creating an open feel out to the street. 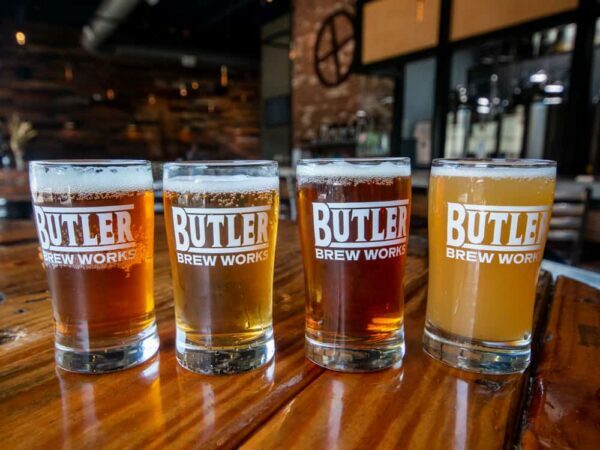 At Butler Brew Works, I opted to get another four beer sampler and tried the Pitfall IPA, G.P. American Pale Ale, Machete Double IPA, and the Peach Shaky Wheel IPA. My flight at Butler Brew Works. 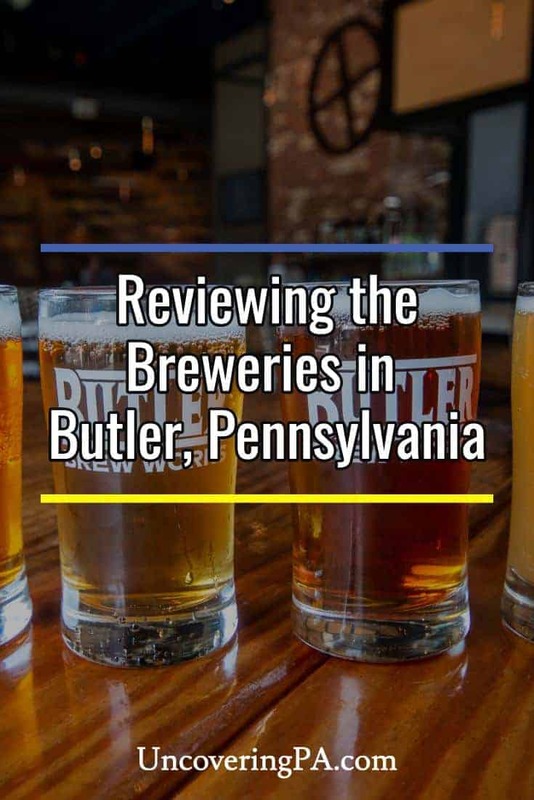 Overall, I was impressed with the beers at Butler Brew Works. I thought the Machete Double IPA was delicious, though surprisingly more malty than hoppy, and loved the peachiness of the Shaky Wheel IPA. One the other hand, thee Pitfall IPA was a bit flat at first taste, but had a nice finish, and the G.P. American Pale Ale was fine, but nothing to write home about. 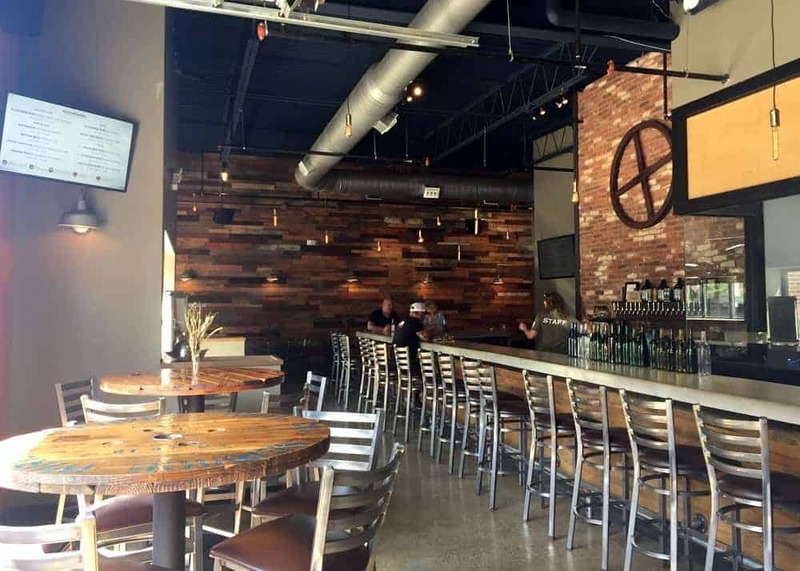 The industrial, but airy interior at Butler Brew Works. Because of this, while I personally preferred the ambiance of Butler Brew Works, I thought the beers I had at Reclamation Brewing were better. However, both had delicious beers among those that I tried, and you can’t go wrong with whichever one you choose to visit. 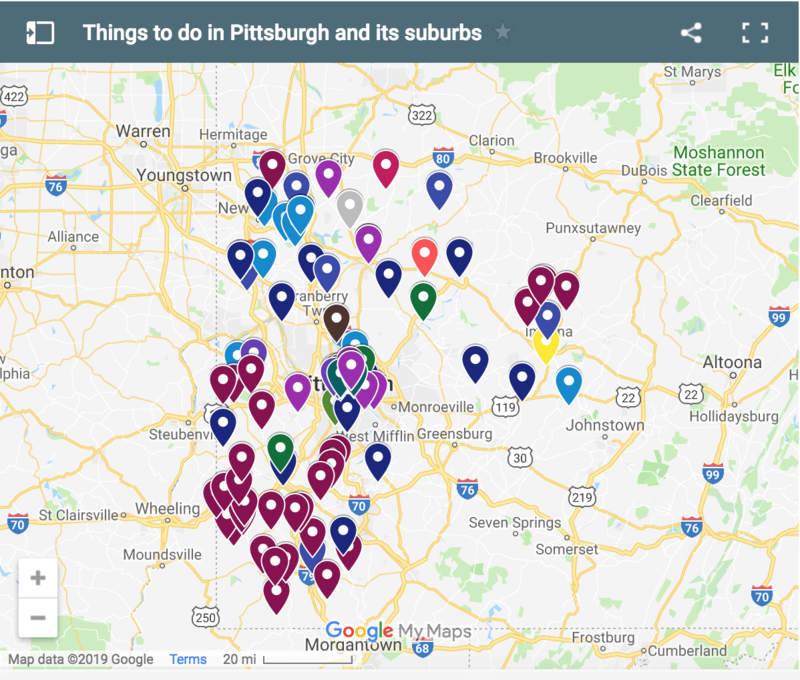 Of course, the best bet is to take a brewery crawl through downtown Butler, PA, and try both breweries for yourself. 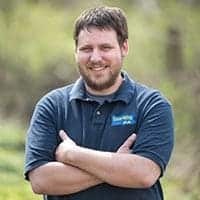 Looking for other great nearby breweries? 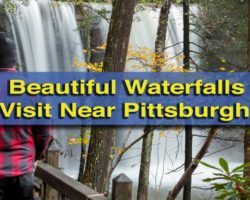 Check out our review of North Country Brewing in Slippery Rock and our favorite breweries in and around Pittsburgh.